The UFBA is an exclusive group that may be joined only upon invitation. Its purpose, as you might have already guessed, is to bring some of the fantasy bloggers out there together in a co-operative network. 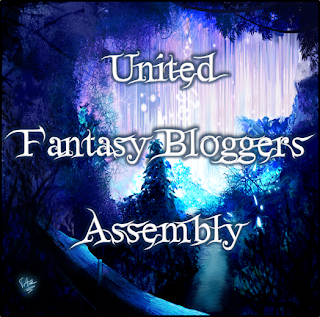 Our goal is to raise the awareness of fantasy literature as well as promote our own blogs. We are all passionate about the genre and wish nothing better than to see it blossom. We have set a membership limit of 10 bloggers as we want rather a closely connected co-operating team than a big time-consuming organisation. We are currently only 4 members in the group, which also means that we are open to inviting more bloggers. Those who might be interested in a spot on the team can contact us and we'll reply as soon as possible! Feel free to show your support by displaying this logo on your website/blog/page! Hey Nevey! I will send and e-mail to the group sometime next week and they will all take a look at your blog and decide if it's something that would fit in the group. Is that ok? This is a perfect thing sweetie. I shall do so. P.S. If I failed making the group this time; can I resign on the future (after adding more Fantasy posts) :) .